Natwick Insurance is blessed to be in the business of helping people. ​We are a local independent insurance agency, and our team is ready to help you navigate the unique Florida insurance marketplace. Get a quick personalized insurance quote and find out how much you could save! When it comes to insurance, we are here to help. Learn more about our Insurance products. 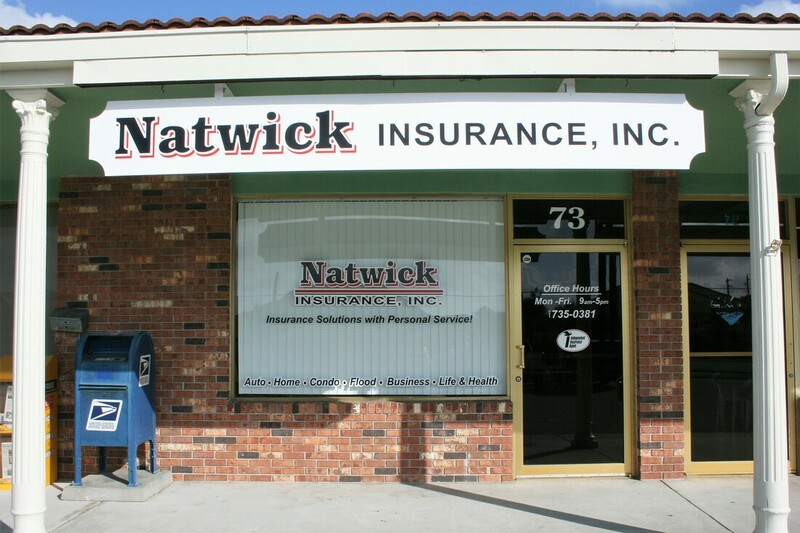 Natwick Insurance, Inc. is a Trusted Choice Independent insurance Agency that provides "Insurance Solutions with Personal Service!" Our insurance agency is blessed to serve Satellite Beach and the surrounding Florida communities by protecting the people we work with just like we protect our own family members. If you're not thrilled with your current insurance contact us today. FLComp.com﻿ is dedicated to your workers' compensation insurance needs. We help you find the best FL work-comp insurance company for our business and if desired we can help you find a payroll processing firm to offer "Pay As You Go" payment plans with minimal or no down payment required. FLComp.com a division of Natwick Insurance, Inc. If you buy direct through a website, You will not receive advice from a licensed insurance professional. If you work with a exclusive agent, You'll receive advice - but only options from a single insurance company. If you work with a independent insurance agent, You'll receive advice from a licensed insurance professional with access to multiple insurance providers, who can tailor a solution to meet your needs and budget.